LIVE! Every Monday Night 4PM HERE! CLICK HERE FOR LAST YEARS LIVE! COVERAGE AND ARCHIVES! This event has officially JUMPED THE SHARK! LIVE! MINT 400 2017 Race Bulletins! Rob Mac takes the overall 2017 MINT 400. Rob Mac is the Official winner! Celebrity Jay Leno takes on the desert off-road race, the Mint 400. A race truck catches some air during the Mint 400 just east of the state line near Primm, Nev., on Saturday, March 4, 2017. The 6164 car crewed by Bobby PeCoy, Mike Craft, and Cameron Steele drives by during the Mint 400 just east of the state line near Primm, Nev. Las Vegas. Spectators watch the Mint 400 just east of the state line near Primm, Nev. Las Vegas on Saturday. It has been a week of breakthroughs for talented, star-crossed auto racing drivers from Las Vegas. Six days after Kurt Busch took the lead on the last lap of the Daytona 500 and pulled away to the victory, ending an 0-for-15 run in the Great American Race, it was Rob MacCachren’s turn to have the racing gods smile upon him. 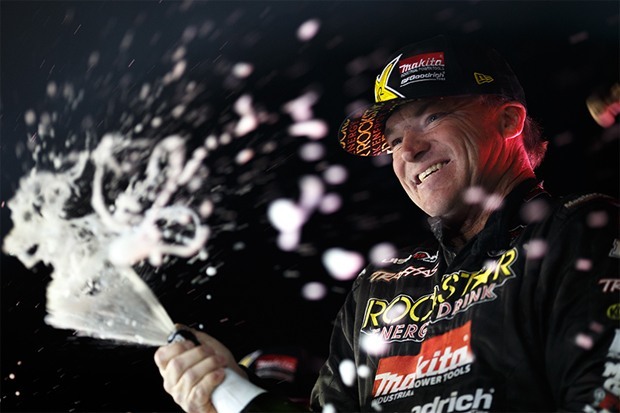 The youthful-looking 51-year-old demon in the dust was 0-for-forever in The Mint 400 before taking charge about 50 miles from the finish en route to being crowned the unofficial winner of the Great Primm Off-Road Race on Saturday. When you’re on a roll, you’re on a roll. Fresh off his King of the Hammers victory in the 4400 class, Rob MacCachren, along with 4 Wheel Parts CEO Greg Adler, posted another win in the Trick Truck class at the Mint 400 event. The two were teammates just weeks before at the King of The Hammers outrage in Johnson Valley, California, where the two came in 32nd place among 50 teams out of 122 that started, that successfully completed the race. The duo completed the 4400 Class race nearly an hour ahead of the next-closest class competitor. MacCachren, one of the legends of his sport and a 2011 inductee into the Off-road Motorsports Hall of Fame, has won more than 200 races during a long and brilliant career, including the Baja 1000 four times. 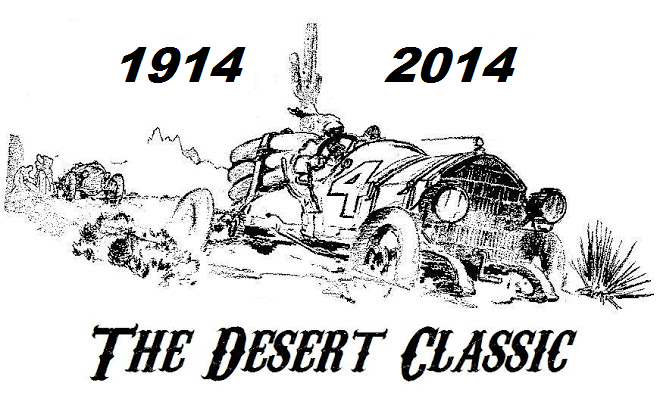 Somehow, The Mint 400 had managed to elude him. It eludes him no more.“How do you do this?” said the Clark High graduate as he struggled to remove the cork from the big bottle of champagne on the victory platform as thousands cheered. “This is harder than the race.”MacCachren’s time over three laps of the 116-mile course originating behind Buffalo Bill’s in Primm was 5:37:35. 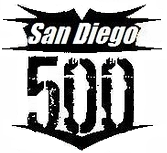 Jason Voss of Cupertino, California, was second at 5:38:39, with San Diego’s Andy McMillin third at 5:41:36. Jason Voss, who won Thursday’s Time Trials, securing clean air as the first Trick Truck off the line shortly after 12:30 p.m. today, was awarded second place on unofficial time, coming in with a five hours, 38 minutes, 39 seconds, taking the checkered flag a little over a minute after Rob Mac. Andy McMillin recovered from the last lap flat to unofficially take third place with a time of five hours, 41 minutes, 36 seconds. McMillin was leading the final time around the wind-swept, rock-strewn course before sustaining the flat tire. MacCachren said he went the whole day without a flat and dutifully thanked BF Goodrich Tires along with Rock Star and Ford and his other sponsors after he finally popped the champagne cork. Brock Heger of El Centro, California, was the unofficial winner in the limited class that left the starting line at the crack of dawn. The 17-year-old’s time was 6:08:54. Wisconsin’s T.J. Tuls was second at 6:10:38, with Roger Starkey Jr., of Burbank, California, rounding out the podium finishers at 6:11:53. Each was driving a Class 10 buggy. Information was sketchy on Jay Leno’s race. 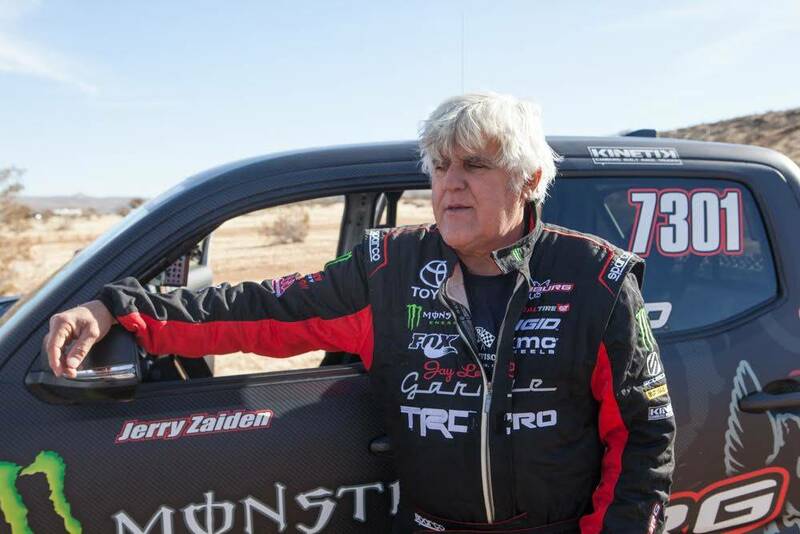 The former “The Tonight Show ” host and automotive enthusiast added his name to the long list of celebrity drivers who have competed in The Mint 400 by leaving the starting line just before 7 AM in a nearly stock Toyota Tundra. Race officials said when he turned the SUV over to his co-drivers, he looked extremely fatigued. Pre Race Report: "Polaris RZR Factory Racing From The Highest of Highs to the Lowest of Lows !!! So I am sitting around waiting for the Mint 400, maybe a bit nervous, or maybe just excited with a bit of ‘what the I failed high school am I doing?’ Racing a full on Trick Truck at the Mint 400! Now some people say it’s a rich man’s sport because it costs so much money and time to race a trophy truck. I can tell you just because you have money, it don’t matter, most likely you still can’t drive and if you can, lol, to drive on the level that the top finishers do… you have to have some major talent, a set of huge balls, and be a little bit crazy to be a contender. I know I do not currently possess all three of those.It is near impossible to get the seat time in a trophy truck that will give you the confidence to head straight into a 5 foot tall dirt berm at freeway speeds all while giving you the comfort of knowing when you crank your steering wheel hard left or right and you mash the gas pedal to the floor and those 850 horses under the hood light up your 40” tall tires, spinning them effortlessly on demand, propelling your 6000 pound hunk of steel tubing and engine in any direction you’re willing to go. Now back to the seat time, I don’t want to get into breaking down the cost or money we have spent to prep the Trophy Truck, but it’s just out right ridiculous! 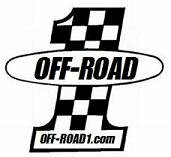 2 miles per gallon of 110+ octane race fuel and not even the fact that your rear tires are wore out after 100 to 200 race miles, but we throw on a new set of tires just in case we compromised one in some way or another. So back to seat time. Now you have to understand I am an older guy, 51 years old to be exact, and I don’t want to spend the next three years getting seat time in a trophy truck. I want it now. 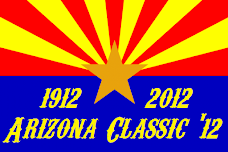 I want to win now.The race season for Best in the Desert are: Feb 5, March 5, May 14, Aug 18, Oct 21, and Dec 3. So as things are now, we have to pull the motor somewhere between 1000 and 1500 miles to have it freshened up. The transmission… well if you want to say you did everything you could to try and win a race, then that gets a littler freshening up too. So, we have to have two race motors, three race transmissions, and three third members (rear end gears). Ok. Cool, I got this. That lets go racing! Now I run into my first real problem. I only have 1 guy prepping my truck and at times have 1 and a half working on it, but they also have other jobs they do here at my shop. Including: prepping the pre runner(s), prepping and building my Polaris Race RZR(s), rebuilding all 8 Fox Racing shocks in-between races, loading and unloading chase trucks, hooking up trailers, prepping chase trucks, loading chase trucks, working out race day schedules, pits, and helpers, … you’re getting the picture, right? It’s kind of overwhelming, and a ton of work. No one told me how much work racing is, I was in it for all the “fun”. Oh, but let me take this quick opportunity to thank all the guys that have so graciously taken the time out of their busy schedules to send me daily Facebook & Instagram messages offering to drive one of my race trucks or race RZRs. Are you guys for real? Not one of you offer to help on the racing costs, not one of you offer to help prep the race cars themselves, no one offers to help pit or a hand on race day, but every one of you offers to drive? Ok, sorry, back to seat time I need. Well the only way to get real race seat time is to race right? But when you have a full season with Best in the Desert you think well maybe I will go race some Baja races, right? Well it already takes forever to race 1 series and now we are back to the money thing… So I need to hire more prep guys, buy another motor, etc., etc., etc. Even if I wanted to race a series like Snore it seems as the only way I could do that is if I owned two race trucks that are pretty much identical. 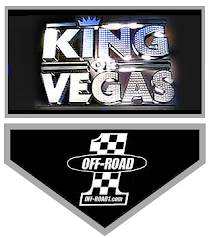 Now I am not whining, I’m just trying to pass some “inside the helmet” info along for the guys that like to hear what it’s really about.I got an email the other day stating Best in the Desert has moved qualifying to the Las Vegas Motor Speedway and onto the short course track. I’m like ‘Oh, **** just got real, quick’. Now I need to be able to drift my 6000 lb. Trick Truck around high speed corners and launch it off huge infield jumps, all the while keeping my fingers crossed that I don’t wad the truck up before the race?! Oh yah, all the while I think back to the Mint 400 course from my last lap at the 2016 race! I’ll give you a little description of it… I raced the first lap last year, about 30 miles in had a flat tire. We had lost our spare tire so we had about an hour and a half of down time. I finally finished the first lap and Craig Scanlon got in for the second lap. He had a somewhat uneventful second lap and I get back in for the third lap. We were one of the last trucks on the course due to the flat tire and it was now ‘0 dark thirty’. As we headed out the truck started hitting these huge square edge holes and it was just beating the crap out of us. As we are passing race mile 7 I thought to myself ‘Damn, I have over 100 miles of this to go. I sure wish I could just turn around and head back, this **** is crazy, but no turning back.’ We just take the beating and as we are racing along I start to see spare tires, hoods, fenders, race jacks, and race cars littered every place I look. I start thinking this is what a full on battle field looks like. It was unbelievable. Carnage, huge holes, like picture a pot hole in the street, you got that picture in your mind? Now make it a foot deeper or even a little deeper, now put this in both tracks that your tires are running in and hit them at speeds of 60 to 80 miles per hour, or even 100 mph, and do that for 10 miles or more at a time! Now toss in a couple of whoop sections that are over a mile long that make 40” tall tires look small... Yah, I’m getting excited! So excited that I entered in two classes! That’s right, I will be racing the Polaris RZR in the morning race and then the Trick Truck in the afternoon race.Oh, one more thing about that ‘new to me’ Trick Truck I bought. It has a rear turning brake next to the shifter in the dash. As of today I’ve been too afraid to touch it as most of the time I am concentrating on driving. So, I haven’t touched it, lol. But, last night Jesse Jones actually took the time to tell me some of the functions of it, how and when it works. Thanks Jesse! When you didn’t grow up racing and don’t race with anybody that has raced a Trick Truck before it’s a slow learning curve." After the recent years blown race operations, with false race results and increasing the charges for pig-swill services, this all empties out the actual value of the event. Recent blown race operations. Last years racing into block walls, previous years race stoppages with no rules (has that changed in the rule book?) and constant questions about who really wins these races. Last year was considered one of the worst contingencies on record...no food, warm water, overall lousy...This year, racing teams are loudly complaining of the long lines...A racer explained to us, "our Ultra 4 class team was in line for 8 hours", "Tech (Technical Inspection) was taking the cars as fast as they could. They were still lined up 4-5 deep entering tech. There was a golf cart UTV only line but it was deeper than the car/truck line. There were some gaps in line particularly at the Method lot but the front of the line, at least when I was there, was booked and seemed to fill as fast as they could get the cars in line. While the process does take long, it's not the remote staging that was taking the time. There were some gaps in the middle of the line but it's not like tech was empty and waiting for cars. You guys were waiting but it doesn't look like the remote staging is the cause of the wait". Jason Voss won the pole position for the start of the race, starting the second race Saturday at noon. The REAL Surprise, Who Won MAXIM 2017 Miss LIVE! MINT 400?